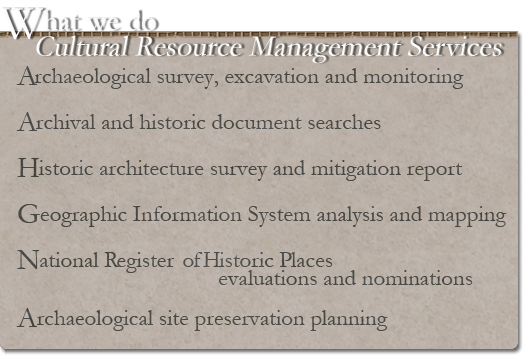 Tennessee Valley Archaeological Research (TVAR) focuses on archaeological research and cultural resource management. The consulting firm is located in Huntsville, Alabama and centrally positioned to serve clients in Alabama, Georgia, Mississippi and Tennessee. TVAR staff specialists work closely with State Historic Preservation Officers and their staffs to ensure the coordination and cooperation required to provide clients with an efficient process to comply with historic preservation laws and regulations.